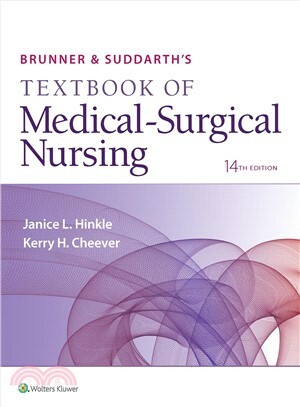 Highly readable and rich with engaging case studies and learning tools, Brunner & Suddarth’s Textbook of Medical-Surgical Nursing, 14th Edition delivers the complete nursing foundation students need in a format designed for the way they like to learn. This approachable text is accompanied by callouts, questions, and vignettes to help students explore essential patient care practices in real-world terms and gain a more practical understanding of how they’ll apply what they’ve learned in practice. Concept Mastery Alerts clarify difficult concepts, informed by data from Misconception Alert questions in PrepU for Brunner & Suddarth's Textbook of Medical-Surgical Nursing, 12e.